Dublin’s appeal extends far beyond the stag parties and mini-break crowd. The vibrant Irish capital also plays host to large numbers of overseas visitors staying for longer periods in order to immerse themselves in the city, and often also to work. As is a growing trend in other cities around the world, Dublin’s younger residents are increasingly seeking flexibility in where and how they work – and that’s where co-working spaces come in. Co-working spaces offer communal desks and private offices for hourly, daily, weekly, monthly or annual use, both for individuals and small-scale businesses. Dublin’s array of co-working venues are scattered across the city, from the centre to the suburbs. If you’re planning to spend time in Dublin for any length of time, and are looking for a co-working space to use during your stay, we’ve done some research and picked out 12 of the best based on various factors including rates, flexibility, location and services. 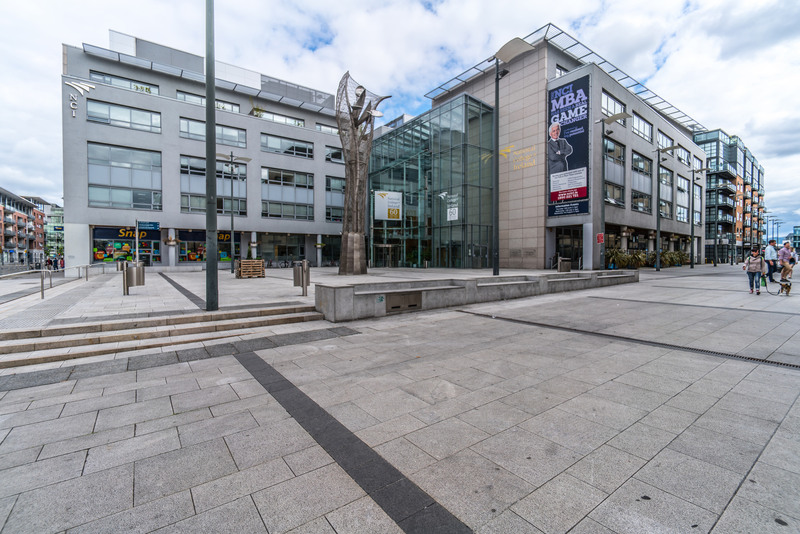 Situated in the Dublin suburb of Sandyford, five minutes from Stillorgan Luas station, Coworkinn is home to a buzzing community of solo workers. The space has a meeting room, printing and faxing equipment, storage lockers, broadband and Wi-Fi, as well as tea/coffee-making facilities. There are two membership types – dedicated and drop-in – with prices starting at €55 per month for a flexible desk-space, including meeting room use, for 1-31 days’ access per month. Day passes are also available for €30 per day. This city centre venue, a few minutes’ walk south the banks of the River Liffey, is spread across two open-plan spaces and offers a range of flexible packages and deals, all offering 24/7 access. There’s a strong community focus here, with a busy calendar of events for members ranging from social activities, wellness classes and creative development workshops. Both of the work spaces are given over to hot-desks, helping to create a collaborative and inclusive atmosphere. There are meeting rooms, storage facilities, post and printing facilities, telephone booths, lockers, bike storage, shower rooms, and a communal kitchen. Weekly rates are priced at €75 and monthly rates at €220. Located in the city centre, south of the River Liffey and close to Trinity College, Huckletree D2 is a co-working facility that’s spread across 30,000 square feet and offers both hot desks and private studios. Amenities include meeting rooms and event spaces, along with a zen-like forest room and yoga and massage studio that offer respite from work. Regular workshops, presentations and product launches are held here too and there are also weekly breakfasts. Unlimited hot desk use can be rented for a minimum of one month, priced at €300 per month. One of Dublin’s newest co-working spaces, this small but well-equipped facility is part of Helping Networks, a young company that offers a support network for entrepreneurs working across all industry sectors. There are a total of 11 co-working desks available, along with a meeting room and a multimedia classroom. Recreational facilities include a common room and a tea/coffee room with a dining table. Part-time and full-time contracts are available, with part-time monthly rates starting at €160 and raising to €250 for full-time access. Positioned in George’s Quay Plaza in Dublin’s Docklands, adjacent to Tara Street train station, Element78 offers a beautifully designed, flexible co-working space with 24/7 access for members and guests. Both freelancers are small businesses can be accommodated here, with a mix of desk configurations available. On-site facilities include break out spaces, meeting rooms, a shared kitchen, storage units, and showers. Monthly membership rates are €350, and short-term visitors can sign up for a month or two without locking themselves into a lengthy contract. Those wanting even more casual access can buy day passes for €45. Located just a few minutes stroll from Dublin’s Silicon Docks, in the heart of the city’s Central Business District, The Brickhouse offers a range of 24/7 co-working options to members from private offices, dedicated and floating desks to meeting rooms and event space. Facilities include meeting rooms, printing and copying, lockable desk lockers, mail handling, community team support, concierge services, private phone booths, personalised phone answering, daily cleaning services, use of a kitchen, showers, continental breakfasts. Light memberships are available for monthly rates of €49 which includes 8 hours’ access per month (€5 for any additional hours). Day passes are not offered. Another popular city centre co-working space, Cluster is home to a small, vibrant community of members. Among them are startups, remote workers and freelancers, all of whom come here to enjoy the facility’s combination of excellent facilities, competitive rates and central location which offers easy access to all of Dublin’s major attractions, including a huge choice of bars and restaurants on the doorstep. Workers can sign up for monthly use of hot desks, priced at €220, or for longer periods of time. Opened in 2015, this vast and impressive facility is situated on the banks of the Liffey, within the historic chq Building, and is at the heart of Dublin’s burgeoning tech and financial scene. The co-working spaces include dedicated desks, hot-desking and private offices, all spread across three distinct areas. The majority of hot-desks can be found in the purpose-built Urban Garden, which also serves as an events space for community meet-ups, hackathons and innovation workshops. Hot-desking rates start at €200 per month. A not-for-profit co-working space located in the Liberties area of Dublin, the Guinness Enterprise Centre was last year named the world’s top business incubator thanks to its “world-class facilities, a supportive start-up ecosystem and a strong culture of community”. Facilities include conference and meeting rooms, photocopying and faxing, car parking, a café and shower rooms. Workers can also make use of a virtual office address, as well as regular business seminars, social networking events and recreational activities including running and yoga clubs. Rates start at €120 per month for 10 day’s monthly use of the space. Workers must sign up for a full 12 months, although you can cancel your contract with one month’s notice. Day passes are not available. Centrally located, CoCreate play host to dedicated community of freelancers, creatives, techies, entrepreneurs and other professional remote workers. Offering a cosy workplace with a homey feel, desks are paired with ergonomic chairs and 24/7 access to a well-equipped kitchen and lounge area. The venue also runs a regular programme of workshops, courses and various networking events. Pricing for hot-desks starts at €100 for a 5-day pass, entitling you to 5 days’ use within a 30-day period, rising up to €200 for unlimited access. Dedicated desks can also be rented for a minimum of one month, priced at €280 per month. Situated in a converted warehouse in the heart of Dublin’s Silicon Docks, DoSpace is home to some 60-plus members ranging from start-ups to sole traders operating across a diverse mix of industry sectors. The venue offers high speed internet, conference rooms, standing desks, and an event space. For extra-curricular activities, there’s a bar serving draft beers, a cosy lounge area and weekly community and networking events, plus social activities including yoga. Workers seeking only short term use of the space can purchase five day passes for €125 or 10 day passes for €200. This flexible co-working space with a relaxed but dynamic vibe is located in the heart of Dublin’s prime business and leisure district. Offering both day passes or monthly memberships, the venue is ideal for drop in and part-time workers or anyone needing a hot-desk for no more than 10 days per month. Among the services and amenities available here are super-fast Wi-Fi, high-tech meetings rooms, a members’ club space, regular events, secure bike storage, showers and drying room, and freshly ground coffee.